Seat Ibiza Mk5 (08-) FAG Rear Wheel Bearing Kit 713610490 Need help or advice? Please check the listing carefully to ensure you have the correct part before purchasing. If you are not sure please call our Technical Team and we will be happy to assist you. Vehicle compatibility information is provided as a guide only. This listing has been made as accurate as possible using the latest information provided by FAG. There may be on occasions more than one compatible part for your vehicle. If you are unsure please contact our technical team on 03333 230274 with your vehicle registration and we will confirm the correct part required. AutoPartJungle offer Free Standard Delivery on all orders where possible shipped within UK mainland. Addresses located in the Highlands, Isle of Wight, Northern Ireland and any offshore address will be subject to subsequent delivery surcharges. An upgrade to a paid Express Delivery service is available on the majority of parts. Paying for this premium delivery service means good are dispatched on a Next Working Day delivery service, when ordered and paid for before 4pm. In the event that a particular item has a longer delivery time than specified this will either reflect in the listing or be communicated to you at the earliest convenience. AutoPartJungle offer a 30 day returns policy. Please return your item(s) in original packaging and ensure that all packages are securely wrapped. You must include a copy of your delivery note in with your item(s), as this is the proof of purchase. Failure to do so will delay your refund. If you receive an incorrect product from ourselves, please notify us as soon as possible. We will endeavour to replace any incorrect item as fast as possible. In all cases where an item requires returning, it will be at the buyers cost unless previously agreed with AutoPartJungle. Any return postage costs may be refunded at the discretion of AutoPartJungle. If we have agreed this, you MUST include a receipt for return postage in with the parcel. If this is not included, we will be unable to refund postage costs! In all cases, refunds can only be issued once we receive the unwanted or faulty goods back at AutoPartJungle and they have been processed by our returns department. Please remember to include one of the copies of your purchase invoice with a small cover note from yourself, with the return parcel so we can process the refund as fast as possible. We will process your refund within 48 hours of receiving the goods, providing they are undamaged and in a re-saleable condition. Any items that are received back not in a re-saleable condition will be returned back to the customer at the customers cost. Every item has a minimum 12 month warranty unless stated in the listing. In the unlikely event it goes faulty within that period please contact us and we will sort out a replacement or a refund for you as soon as possible. We can only accept items for refund if they have not been fitted. If they found to have been fitted we will have no choice but to refuse the request for return unless it is a faulty product. In the event that a part you have purchased from us develops a problem which needs to be claimed under the terms of the manufacturer warranty please contact us in the first instance. We ask that you do not contact the manufacturer of the part directly as they will politely ask that you direct your query to the origin of purchase. We cannot stipulate each and every manufacturer’s warranty procedure on our site so we ask that before you contact us with a warranty issue that you have as much information as possible to hand to enable us to deal with your problem efficiently. Common questions we may ask you are Make & Model of the vehicle fitted to, Miles covered by the part, Vehicle Chassis number & a description of the symptoms your are experiencing. For warranty queries related to Catalytic Converters & Diesel Particulate Filters (DPF) a diagnostic omissions read out may be required. Please note that warranty claims will only be considered for reasons where there has been no acts, omissions or misuse of the goods. The manufacturers opinion shall be final and binding and we shall have no further liability to you. If Goods become faulty after expiry of the Warranty, and you request that we replace or repair such Goods, then we shall charge our then standard list price for such repair or replacement. We encourage our customers to contact us directly with any queries they may have. You can do this in various ways however we prefer in the first instance for queries to be made through the eBay messaging system which we aim to reply within 24 hours. In the field of Cam lock, Bearing Distributors Inc has years of expertise in the design of assembly lines. All assembly stations or assembly lines are special constructions individually planned, built and designed in accordance with customer specific requirements. Typical assembly component groups of Seat Ibiza Mk5 (08-) FAG Rear Wheel Bearing Kit 713610490 are engines and cylinder heads as well as automatic and manual transmissions for cars and trucks in medium and large quantities. Bearing Distributors Inc assembly systems are mainly of modular design. Individual assembly stations with corresponding automation can be combined into complete assembly lines according to customer required cycle times. 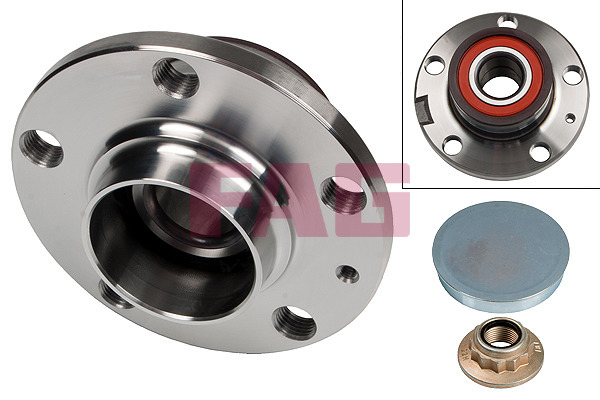 The Seat Ibiza Mk5 (08-) FAG Rear Wheel Bearing Kit 713610490 have the structure, feeders and automation standardized. Therefore, highly complex assembly lines with a standardized structure can be quickly and cost-effectively designed and built. MERCEDES 111,113,230 SL, FAG Clutch bearing, NEW!